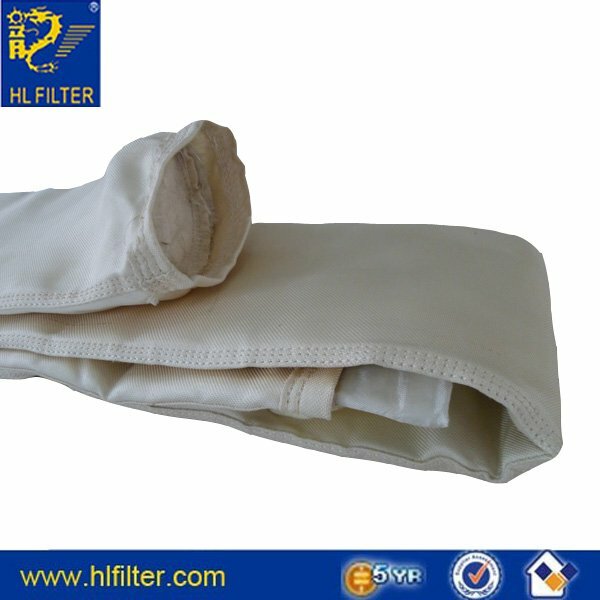 Fiberglass dust filter bag(Woven) -Normal continuous operating temperature is 240grees. power plants, and electric furnaces. Fiberglass has excellent resistance to most acids, but is attacked by hydrofluoric acid. Not recommended where bases and salts such as chlorides, bromides, and cyanides are present. This media has poor flex abrasion qualities and requires a 20 vertical wire minimum support cage when used in tubular filter bag form.